1. 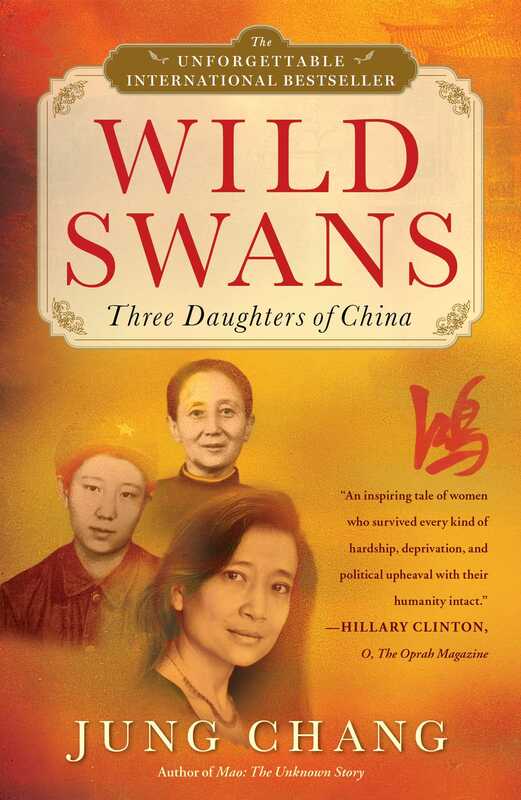 All three of the women at the center of Wild Swans display great courage, often to a stunning extent -- speaking out in times of enforced unanimity, facing firing squads, risking their lives for the sake of others. Compare the kinds of bravery they exemplified. Does one stand out as particularly courageous? 2. The 20th century could rightly be called an era of violence in China, and the lives of these three women were indeed remarkably touched by brutality. Although none was violent by nature, all three were witnesses to -- and sometimes victims of -- naked savagery, to the extent that it may have begun to seem almost mundane. How did it affect their lives, and specifically their political feelings? 3. The women of Wild Swans lived through an era of such upheaval that they were constantly being called upon to pledge allegiance to a new regime or a new leading figure, each one distant from their day-to-day lives, and each usually claiming to be more "revolutionary" or diehard than the one before. What was the effect of this disorientation? Did the women ever show a sense of political or spiritual homelessness? 4. For each of the principal figures in this book, romantic love was strictly controlled and radically circumscribed -- and yet such feelings played a powerful role. How did the politicization of the deeply personal affect the lives recounted in Wild Swans? At what cost did these men and women pursue love? 5. Familial love was also the object of close government scrutiny and control in the last century, despite the historical importance of the clan in Chinese tradition. Particularly watchful was the Communist regime, which stipulated heavy penalties for "putting family first." The key players in Wild Swans often found themselves caught in the middle between concern for their loved ones and the social and political demands placed on them. Discuss the range of ways in which they reacted to this tension. 6. Ceremony, pageantry and ritual have been important elements of Chinese culture for millennia. As the author notes, it was not uncommon even in the 20th century for a family to bankrupt themselves to put on an impressive wedding or funeral. Did prevailing attitudes about ceremony seem to change over the course of the narrative in Wild Swans? What attitudes did the individual women appear hold on the subject? 7. After the decidedly mixed Kuomintang era (not to mention the brief occupations in the North by the Soviets and Japanese), the advent of Communism was embraced by the author's parents. Soon Jung Chang herself, born during the early years of the CCP, was swept up in the widespread fervor. But seeds of doubt slowly begin to appear in the book. What do you think were the key moments in Jung Chang's and her parents' changes of heart? Why? 8. For obvious reasons, Jung Chang's tale bears the most details, reported feelings and other personal touches. Describe her psychological growth or transformation during the course of her young life. Did you feel she reported her thoughts honestly? Did you ever applaud her choices? Did you ever disapprove? 9. Wild Swans is a work of biography and autobiography with many novelistic elements. It is also, however, a valuable work of 20th-century Chinese history. What did you learn about the country from reading it? If you knew the basic outline of the history, did anything strike you freshly because of the personal narrative approach? Jung Chang was born in Yibin, Sichuan Province, China, in 1952. She left China for Britain in 1978 and obtained a Ph.D. in linguistics from the University of York in 1982, the first person from the People’s Republic of China to receive a doctorate from a British university. She lives in London with her husband, Jon Halliday, with whom she wrote Mao: The Unknown Story. "Wild Swans is riveting. It's blindingly good: a mad adventure story, a fairy tale of courage, and a tale of atrocities. You can't, as they say, put it down." "Her family chronicle resembles a popular novel that stars strong, beautiful women and provides cameo roles for famous men....But Wild Swans is no romance. It's a story...about the survival of a Chinese family through a century of disaster." "An inspiring tale of women who survived every kind of hardship, deprivation and political upheaval with their humanity intact."